This ligature resistant mortise latch set is ANSI Grade 1/1A approved by meeting ligature requirements in 5 directions (up/down/left/right/forward). The design and function of the handle/trim deter ligature in any manner while maintaining ADA requirements. The latch is retracted by pulling the handle down. When released, the handle automatically returns to the up position, allowing the latch to close. The latch set is handed and accommodates a door thickness of 1-3/4″, or other upon request. The handle, escutcheon plate, deadlocking latch bolt, and ASA strike are constructed of solid stainless steel, and come standard in a satin stainless steel finish. Pin Torx tamper resistant screws are included. Available in over 25 functions, 10 year manufacturer’s limited warranty, and approved by OMH of New York. This mortise latch set can be ordered in wide variety of functions, but we recommend either the passage, classroom, or privacy/bathroom functions for the behavioral/psychiatric environment. All three functions allow free egress for the patient at all times in order to meet safety/fire code compliance. 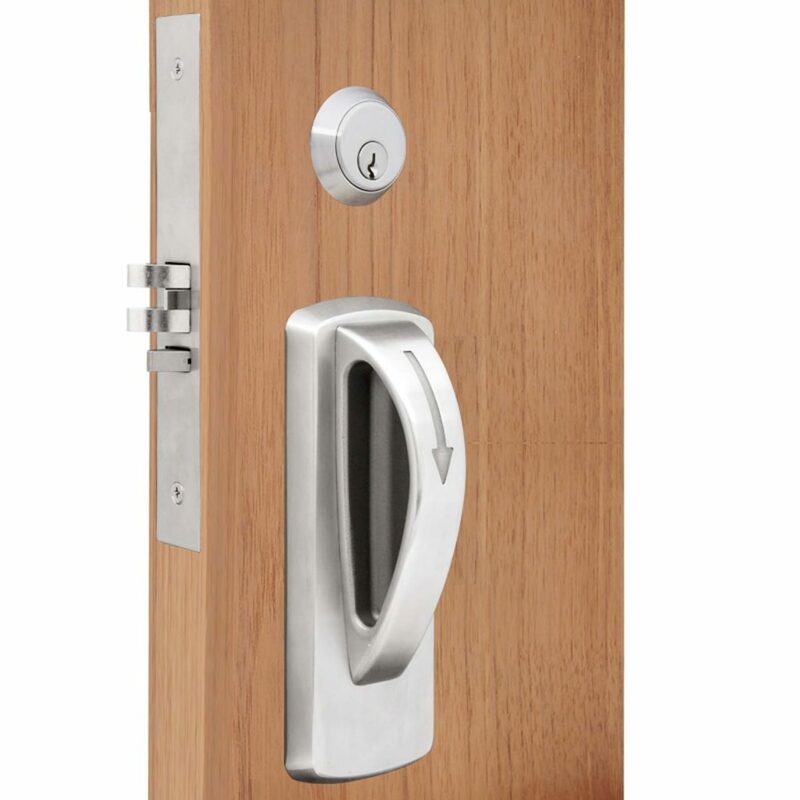 Also, with any of these three functions, a single action (pulling the inside handle down) throws the deadbolt and latch for free egress, which eliminates having to turn a thumb-turn or coin-turn in junction with pulling the inside handle (double action).